Did you know that 80% of new realtors fail within their first year and 90% are out of business by year three? 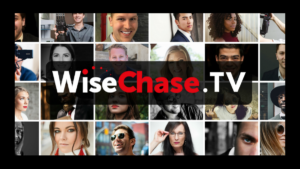 With a low survival rate in the industry of selling real estate, WiseChase TV wanted to know if it’s even worth it (these days) to get into the business? 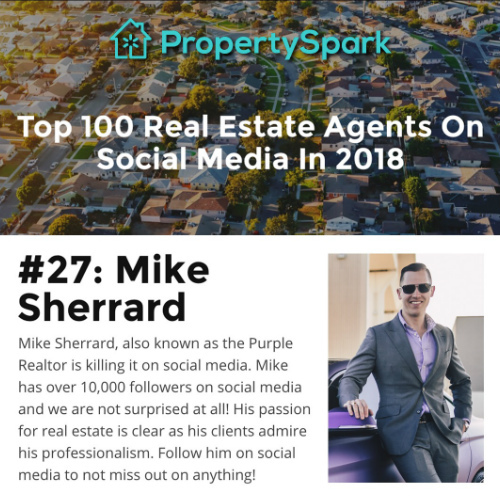 So instead of bringing a veteran, we brought a rookie to the show, who has acquired a $15 Million dollar Listing and just made the Top 100 Realtors on Social Media Worldwide List. 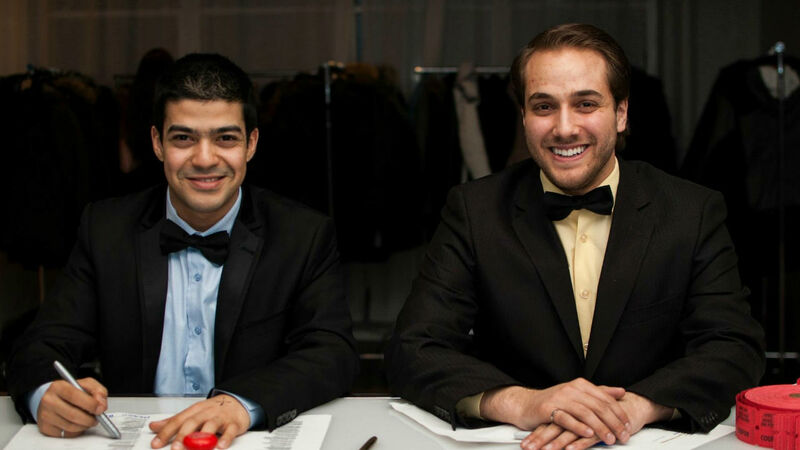 He is ranked not far below the entire cast of the hit Real Estate show on Bravo TV Million Dollar Listing. He’s only been in the game for a 1.5 years! 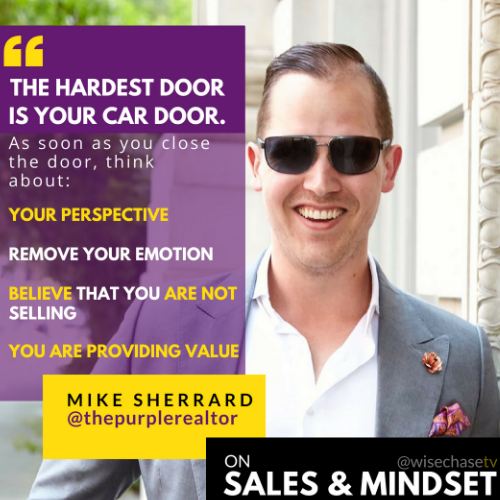 We wanted to find out how Mike Sherrard, The Purple Realtor started and how he’s been able to level UP and compete amongst the big dogs! What makes him stand out? Is it the PURPLE EVERYTHING factor? OR does Mike have future insight on how to adapt to the market, as technology is changing the face of selling real estate? ♦ ASPIRING REALTORS – What you can and should be doing to get a leg up before you get licensed. ♦ How you can utilize Social Media to sell Real Estate. ♦ What does Mike do to get Leads? ♦ Learn how you can subsidize your earning potential in downturn markets. ♦ What are Cloud-Based brokerages? How will this affect or effect the Real Estate industry? ♦ Why you should consider a ROOKIE when selling your home. ♦ Ideas to make clients remember you when you’ve helped them buy or sell their home. This show will give you some amazing tips on getting into the business and understand how hard your current or future realtor should be working for you. 2:10 – Branding in the Real Estate Industry. The difference between creating your own generalized brand vs branding your personal name. 3:55 – The $15,000,000 Listing. How he got it. See this Video Listing below. 5:55 – Where does Mike’s referrals mostly come from? 6:15 – What kind of content should you publish on a business social media account? See the heartwarming video he did with his Dad below. 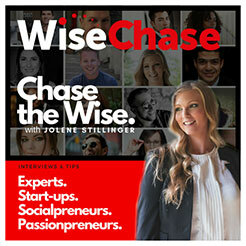 8:30 – We discuss his unconventional way to get leads and with no social sphere. 11:35 – Confident people can be humbled by rejection too. How to motivate a team when a “NO” strikes. When you start taking rejection personally, you're done in any sort of way when it comes to (cold prospecting). 15:44 – Brick and Mortar business is slowly dying. How is technology helping the Real Estate Industry? Learn about EXP Realty, the cloud-based agent owned brokerage that could subsidize your agent income in a downturn market. 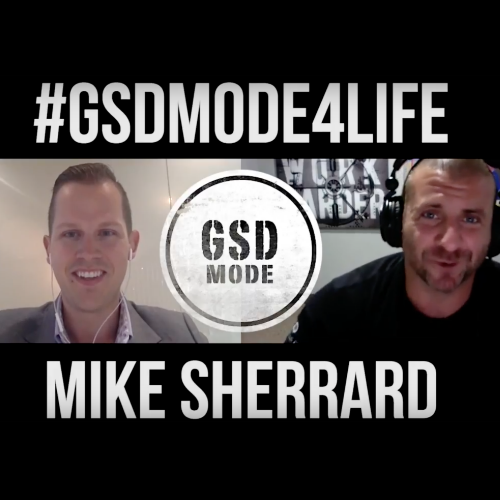 16:57 – How does Mike feel about MLM (Multi-level Marketing) Business models? 22:50 – Mike’s thoughts on utilizing a rookie vs veteran realtor? 25:26 – Giving your customer’s the warm and fuzzie’s so they remember or refer you. Mike’s celebration gift when he helps a homeowner buy or sell a home. 26:38 – Are you afraid of sharing your trade secrets with other competitors, Mike? 27:06 – His experience when he bought his first home. Mike’s tips on what you can do to level UP if you’re thinking about going into the real estate business. “Don’t be a PCP Student” (Parking Lot, Classroom, Parkinglot). 31:40 – Friendship abandonment. What happens when you start a new journey? There isn’t a moment of FREE time. If you have a free window, read a book. 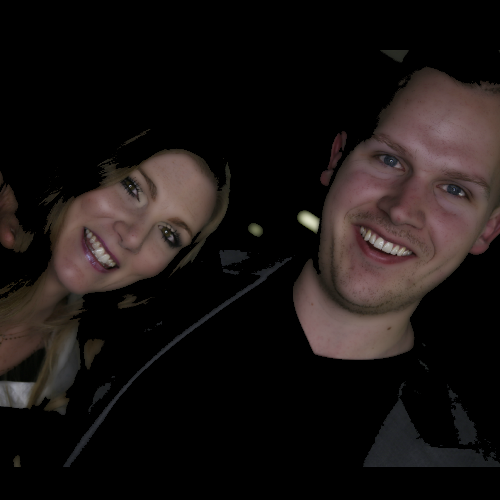 When you go home at 9 o'clock at night, why not listen to a podcast that might take your business to the next level... Why not rethink a new marketing strategy? From the moment you open your eyes to the moment you close them, there is ALWAYS something you can be doing to better yourself or your business. Filmed on location at The Inc.
How is Real Estate Changing in the Age of the Internet? The brick and mortar business of real estate is slowly dying, especially with access to cloud-based agent owned brokerages where you can operate your business from anywhere in the world. ESP Realty is a newer concept that allows you to brand YOURSELF, whereas current local operations ask you to adopt the corporate branding of which you operate within the main umbrella – BUT using your PERSONAL name. With cloud based brokerages, you no longer have to pay excessive fees to be a realtor and park your licence. You can now gain more commissions and a larger stake, all while working from wherever you want! If you have agents on your team within other areas of the globe where the market is ‘hot’… this can compensate your earning potential when your local market is suffering a downturn. Now…you might be thinking that this model emulates Multi-Level Marketing (MLM) and you are correct. But let’s sort out some misconceptions before you judge! Many MLM businesses get a bad reputation, because of the belief system around pyramid schemes. What is the difference between a pyramid scheme and multi-level marketing? “Pyramid Schemes Have Only One Purpose. The big difference between multi-level marketing and a pyramid scheme is in the way the business operates. The entire purpose of a pyramid scheme is to get your money and then use you to recruit distributors. In reality, the ‘talking’ about bad experiences within the MLM business model is the fact that many representatives lose a passion for the product or service and may have fallen within a down-line that lacks coaching, leadership and development. 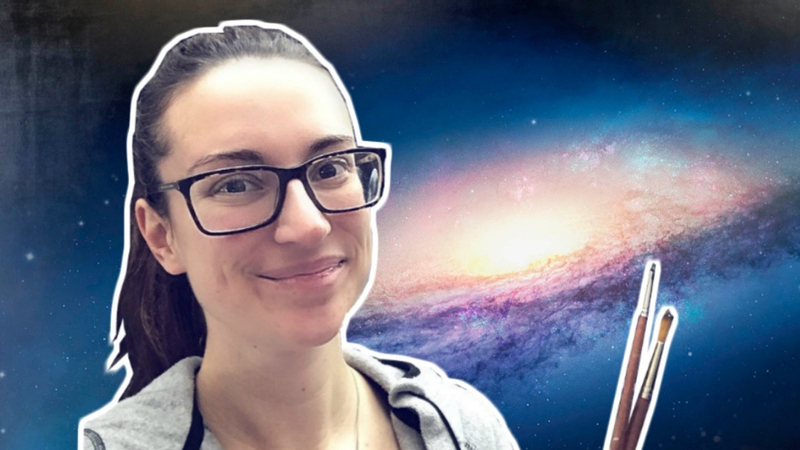 Many MLM leaders become passionate about constantly finding new reps to get bigger returns, rather than providing coaching to their current down-line. In Real Estate, with an MLM model that focuses on selling homes – thousands of dollars are at stake – so the emotions and trust behind this – is at a much different level. Take a look at REMAX to understand a successful MLM model. The cool thing about an MLM business model within Real Estate Agencies is that you can build a global influence with social media! This means that you can get leverage as a recruiter in geographical areas that you’ve never even been to. As soon as he knew that he wanted to be a realtor, he completed eight months of leg-work before getting his real estate license. He dove deep into podcasts and books. By the time he had his license, because he was pro-active, he had built a foundation as he already had his website, branding and marketing ready to go! If you have not proactively executed any kind of foundation, the brand building alone, could distract you from earning money quickly. Because Mike had done this, all he had to do was shadow top realtors and start prospecting for sales. If you are proactive and find out how you can differentiate yourself within a saturated industry, this will give you HUGE advantage and give you the momentum to put yourself into immediate action mode. According to Mike, there is not a waking moment that you should be wasting. Should I HIRE a ROOKIE Realtor? Young hungry people will give it their all. The quality will show by them getting the job done - rather than your investment feeling like it's just another statistic. 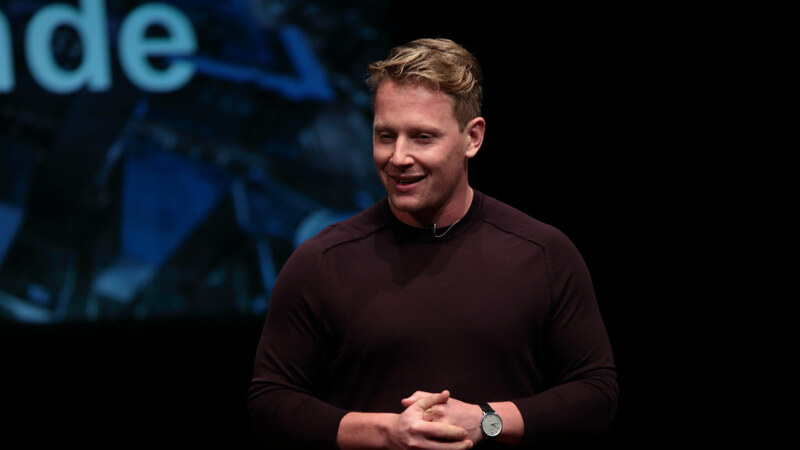 Mike’s hope is to influence others to adopt what he’s doing, so people get more quality and efficient services in the business of Real Estate.